Corneotherapy is the latest breakthrough skin treatment methodology that renders former philosophies obsolete or at least antiquated, in the world of science. Based on Dr. Albert Kligman’s discovery of the stratum corneum a.k.a. skin barrier, being a living structure capable of self-regulation and interaction with the epidermis and dermis; Corneotherapy, described as “outside in therapy,” pursues the recovery, preservation and overall homeostasis (balance) of the stratum corneum. 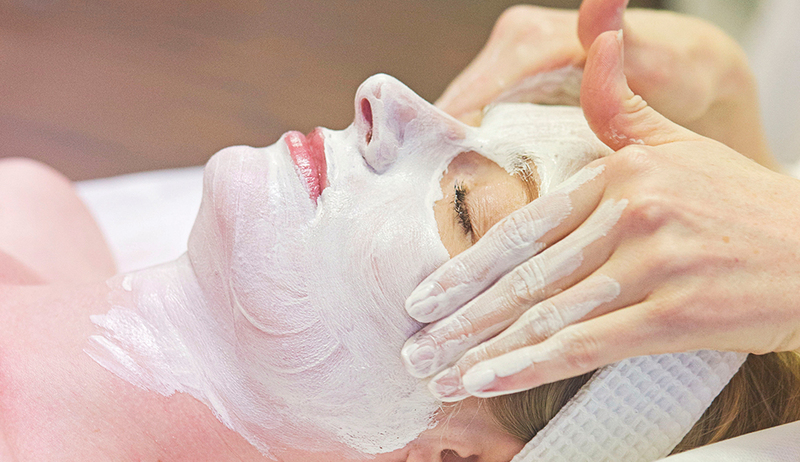 Previously believed to be a conglomeration of dead skin cells, aggressive exfoliation and peels were, and still are, a popular treatment method for smoothening the skin. In this issue of M2woman, we talked to Stephanie Christou, dermaviduals Sales and Education Consultant, to understand the core workings of our skin, what it needs, and how to make sure your regime isn’t doing you more damage than good. A good rule of thumb to keep in mind is, “whenever you see inflamed skin, regardless of its cause, it means the stratum corneum is leaky and permeable,” as said by Dr Albert Kligman. “But, if you repair the stratum corneum, that tells the underlying tissues that they don’t have to keep reacting like there’s danger in the environment,” he continues. When the skin barrier is functioning efficiently, it can provide protection against dehydration, oxidative free radicals, UV radiation, germs and increase its healing power. Achieving skin correction becomes simple and skin disorders can be treated in-clinic without the need for a doctor or dermatologist. The first step is preventative corneotherapy. By being aware of harmful substances, we can avoid damaging our stratum corneum with formulas including fragrances, preservatives, emulsifiers, colours, mineral oils, silicones and amines. Perfumes, especially low-grade fragrances included in cosmetic creams, have been found to be the number one sensitiser to skin, causing issues with skin barrier function and exacerbating already compromised skin. Since when did our human skin require a pink coloured, rose fragranced cream? Our cells are unable to recognize, communicate or metabolise these aforementioned substances. our precious oils needed for healthy functioning, it creates barrier disturbance, fast water loss and lipid dryness. Due to dermaviduals products being made in an aseptic laboratory with an air-tight pump format, this allows for them to be void of harmful preservatives such as emulsifiers. the skin barrier is impaired and it suffers from trans-epidermal water loss, the skin is unable to exfoliate on its own and the process fails. triglycerides, squalene, phytosterols, fatty acids and phosphatidycholine; their formulas are scientifically formulated to match the composition of the skin in which these ingredients can penetrate effectively compared to traditional creams that contain emulsifiers. These merely sit on the surface of the skin and provides an instant visible result that’s only temporary. An easy analogy to understand the difference between off-the-shelf products that smell and feel nice and physiological skincare is that the former can be compared to a visit to the spa versus the latter, which would be likened to seeing a physio. Furthermore, an accurate and responsive delivery system is incredibly important when it comes to penetrable skincare. This requires advanced technology that off-the-shelf products simply do not go the extra mile for. Encapsulated in liposomal membranes comprised of physiological lipids called phosphatidylcholine, they merge with the skin barrier and seep through the lipid bilayer to deliver the active ingredients. “Phosphatidylcholine (PC) is essential for nervous system development, nerve impulse transmission, fat metabolism and maintaining cellular structure,” Christou says. It offers strong healing ability, long lasting protection, replenishes the acid mantle, is compatible with all skin types, hydrates and restores the skin barrier, increases smoothness and tightness and reduces acne. Partnering with dermaviduals this issue was a conscious choice to provide an understanding and awareness of how our skin works. Corneotherapy is a science – it is neither a trend, fad or hype of any sort. By promoting the use of physiological compounds and making consumers aware of what they’re purchasing; marketing hype and false claims included; we’re hoping to encourage consumers to be more conscientious during their decision-making for cosmetic purchases. The next time you reach out to buy a ‘skincare’ product, the first step is to glaze over the ingredients list to check if it contains any of the aforementioned harmful substances. Whether a consumer follows through with the process of purchasing it despite inclusions of irritants or returns the product back on its shelf spot; at least they have a deeper understanding of what it is they are spending money on, and are given a choice to make a decision that is best for them.